PHILADELPHIA (AP) — Bill Cosby could be sent to prison next week for drugging and molesting a woman at his suburban Philadelphia home in 2004 in what became the first celebrity trial of the #MeToo era. The judge’s options are broad, because the state guideline range of about one to four years spans the gamut from a prison term to a jail stint to house arrest or probation. The maximum term is 10 years per count. Montgomery County Judge Steven T. O’Neill may aim straight for the heart of the guidelines to blunt public criticism from both sides and avoid being overturned on appeal, legal experts said. Jurors convicted Cosby of sexually assaulting Andrea Constand without consent, while she was impaired and after incapacitating her. Though each count carries a 10-year maximum sentence, O’Neill will likely merge them since all three stem from the same encounter, in effect weighing only one charge, legal experts say. State guidelines call for a base 22-to-36-month sentence. 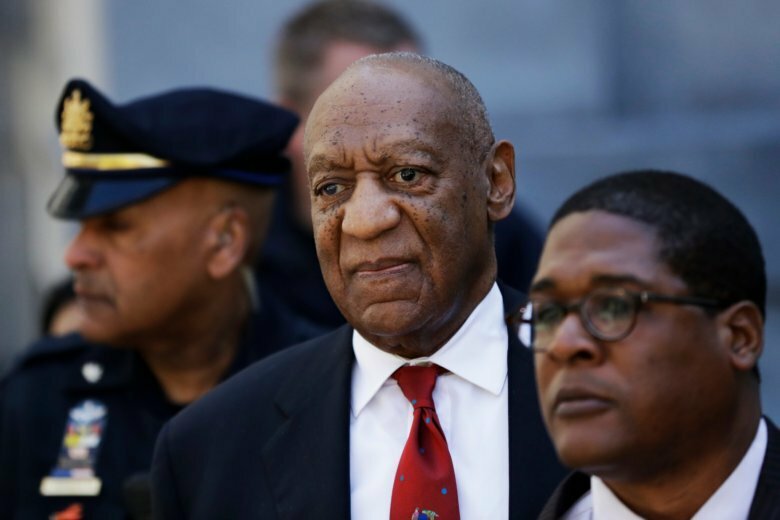 The judge can add up to a year for aggravating factors – such as the 60-some other accusers, Cosby’s denials and lack of remorse, and even his defense team’s repeated attacks on the judge and prosecutor. Then O’Neill could deduct up to a year for mitigating factors – Cosby’s age, health and perhaps even the $3.4 million he paid to settle Constand’s related lawsuit. If Cosby gets even a day more than two years, he’ll enter the state prison system, with a first stop at SCI Phoenix, a new $400 million, 3,830-bed prison in suburban Philadelphia where staff would assess his physical, medical and security needs. Cosby could end up in a long-term medical care unit there or elsewhere. If he’s deemed at risk because of his celebrity or as a risk to others, he’d be held in solitary confinement, spending most of the day alone in his cell. Otherwise, he’d likely share a two-person cell, leaving for meals, exercise, counseling and other activities. He’d be free to bring a personal tablet for music or games but wouldn’t have internet access, corrections spokeswoman Amy Worden said. If Cosby gets two years or less, he’d likely go to the Montgomery County Correctional Facility in nearby Eagleville, a 2,080-bed site that also has a medical unit. Or O’Neill could give him less than a year and let him serve some or all of the time on home confinement, typically with an ankle monitor or probation. The key question, if Cosby gets time, is whether O’Neill lets him stay home while he appeals his conviction. The violent nature of the crime works against him, but Cosby’s age might work in his favor. “You don’t want your client to go to prison and find out that (in) those twilight years of their life they shouldn’t have had to spend there in the first place,” said Loyola Law School professor Laurie Levenson. More than 60 other women accuse Cosby of sexual misconduct during his 50-year show business career. O’Neill allowed five of them to testify at trial, while others came to watch the court proceedings. District Attorney Kevin Steele wants some of them to speak at the sentencing. O’Neill on Wednesday ruled out the testimony of most of the other accusers, other than the five trial witnesses. But whether any of them testify, he already knows their stories well after presiding at both trials and several intense pretrial hearings over their “prior bad act” testimony. O’Neill, who is married and has three adult sons, took the bench in 2002. He has watched the Cosby team’s attacks on the court system intensify, and grow more personal, as the stakes grew. Lawyer Samuel Stretton, who often represents Pennsylvania judges in disciplinary hearings, called O’Neill an even-keeled professional who “understands human nature.” He doesn’t think the attacks will influence the sentence – but said Cosby’s lack of remorse might. “Obviously, if no one is repenting, that’s a factor to consider. And if they’re so unrepentant they’re name calling, blaming anyone but themselves,” that’s a problem, Stretton said.